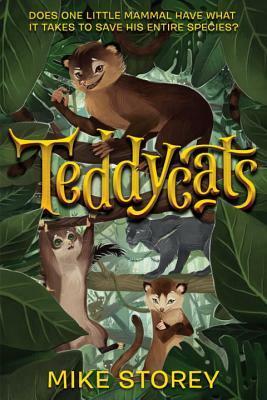 TEDDYCATS is a Middle Grade jungle adventure novel, written under the alias Mike Storey and published by Razorbill / Penguin-Random House. It follows the epic misadventures of Bill, a rambunctious young Teddycat who gets tangled up with some poachers and sets off on a journey to save his species. Great for readers between the ages of 7 and 12, this is a lively tale about family, conservation, and the meaning of home. Buy a copy here! A sequel to Teddycats, CLAWS OF LIFE, is now available for pre-order! "Filled with difficult questions with no easy answers, the story weighs the risks of belonging to a global community versus the safety of isolation." "This is a solid animal adventure story with a message; animal fiction fans and kids who are on the lookout for environmentally conscious stories will love it." "Reading this book called to mind the movie FernGully, an old favorite. Bonus for kids: lots of good vocabulary words!"